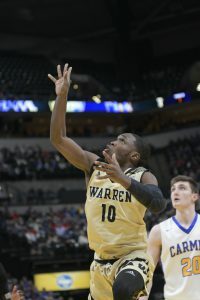 Warren Central beat Carmel on February 16th by a single point, 66-65 to keep intact their perfect season. 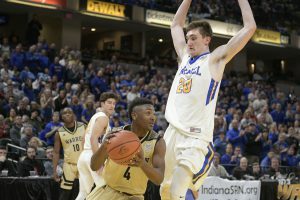 In the final game of the second session Carmel would again challenge Warren Central but this time for the elusive, big, okay giant school Class 4A title on the floor at Banker’s Life Fieldhouse. This time the whistles were out early and in full force as the officials dictated the pace of the game and at times infuriating both teams faithful. 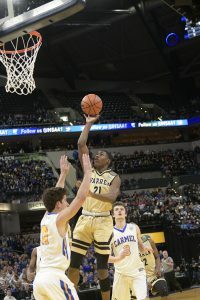 That sat aside the first half of the Class 4A State title was a intense physical game where Warren led at the end of one period 7-6 but Carmel claimed the lead at the half 22-14. The first half saw Warren make six out of nineteen shots from the field while the Greyhounds connected on six of fifteen shots from two point range. 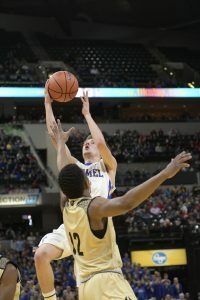 Both teams were way off the mark from behind the arc as Warren Central was two of seven and Carmel a zero for three. 5’8 Senior Dean Tate led the Warriors with six while 6’10 Junior John Michael Mulloy led Carmel with nine. The third quarter saw Warren outscoring Carmel by four points closing the Carmel led to just four points too, 32-28. Lawrence North transfer 5’8 Senior Antwaan Cushingberry led the Warriors with five points, 6’5 Junior Jesse Bingham added four points and 6’8 Junior Jakobie Robinson tallying three points too. Carmel got scoring from Mulloy’s four points with both 6′ Senior Cole Jenkins and 6′ Senior Eddie Gill adding two points a piece. The fourth quarter saw Warren retake the lead 33-32 when Joe Rush hit a layup. Eddie Gill would counter from Carmel with a three pointer giving the Hounds back the lead at 35-33. Dean Tate would then make the start of numerous free throw attempts to give back the lead to Warren. Carmel would lead only once more in the game when Mulloy would sink two free throws and put the Greyhounds up 37-36. When Tate would hit a three pointer giving Warren a 39-37 lead and a lead they would not relinquish. From this point, 6’3 Junior David Bell would sink two free throws, a layup by Joe Rush and eight straight made free throws by Tate would push the Warriors to a 49-45 lead. Two more charity tosses by Rush and four more by Tate would seal the deal, a Class 4A title and a undefeated season! Warren was led by Tate’s 22 points, including a 13 of 14 effort on the night. Cushingberry was the other Warrior in double digits with ten. 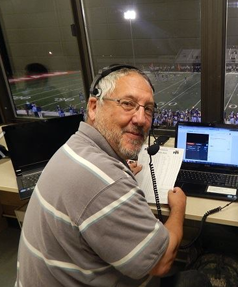 Joe Rush added eight, five points a piece from Bell and Robinson and four from Bingham. Bell would gather seven rebounds for a team high number. 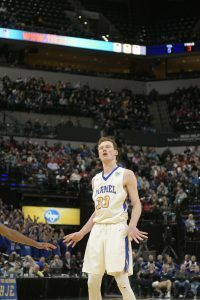 John Michael Mulloy would lead Carmel with 21 points and a game high eight rebounds. No other Greyhound reached double digits. Jenkins and Gill tallied eight points a piece while Andrew Owens, 6’6 Junior would add six points and six boards. This is Warren Central’s first Class 4A State Championship. 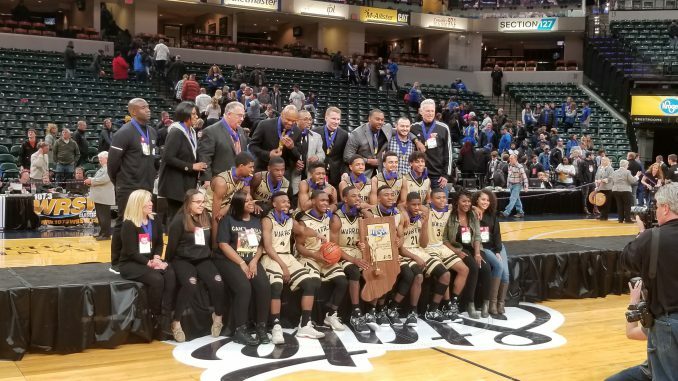 This win also secured Warren Central as only the second school in history to win a Girl’s and Boy’s championships in the same year. Oregon Davis is the only other school to achieve this honor.